Finance and Administration is committed to creating and maintaining a pluralistic workplace. We embrace the principle of acceptance for the unique contributions that each individual brings to the workplace. We are dedicated to building upon our rich history of diversity for the more encompassing and sustaining elements that a pluralistic community offers. We support the recruitment, retention, development and promotion of people of all genders, race, physical limitations, and personal orientations. Our division has a culture that celebrates diversity in all of its forms. Each spring our employees gather together for the Finance & Administration Diversity Luncheon. It’s a unique opportunity for us to learn about other cultures, enjoy each other’s company and taste recipes from international cuisines prepared by employees from those regions serving as “celebrity chefs.” Over 500 division employees attend the event each year. The Division of Finance and Administration is committed to a results-oriented employment program that will maintain a diverse workforce in support of RIT's primary mission and the divisional objective of creating a pluralistic workplace. The Division will create and maintain a diverse workforce as measured by EEO job group categories. The Division will meet or exceed the utilization measures based on the recruitment field normally associated with the position. The Division has developed and implemented training programs for managers and search committee members in diversity and pluralism awareness and divisional program strategies. The Division has developed programs that support and foster retention of underrepresented groups (mentoring, caucus groups, etc.). The Division will continuously measure and improve the program. The Vice President for Finance and Administration meets with all senior line managers of the Division to establish clear communication on action plans, roles, responsibilities and expectations. The Vice President for Finance and Administration reviews all job openings before recruitment activity begins to establish appropriate recruitment procedures and monitor unit progress. Divisional line managers are responsible for the operation and administration of all programs. The Department of Human Resources extensively supports all aspects of the Division plan by maintaining information repositories on effective search techniques, networking opportunities, talent banks of candidates, etc. Strengthen departmental management's involvement and commitment for achieving diversity by communicating the division's diversity mission, action plans, roles, responsibilities and expectations. Expand outreach efforts on an on-going basis to include agencies, organizations, community leaders and national affiliates. Establish diverse search committees, when necessary, which represent a balanced workforce. Strengthen the human resource involvement in all recruitment efforts by following the Institute's policy on recruitment and employment. Evaluate creative employment strategies (student learning, degree seekers, etc.). Ensure that there is a good match between the individual hired and the skills required to perform the job through scheduled follow-up discussion with new hires. 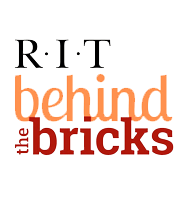 Provide an effective orientation relative to benefit programs, institutional information and department information to make new hires aware of positive programs and services available to RIT employees. Identify talented individuals who value diversity and pluralism and who are willing to serve as mentors for new hires. Assign projects and tasks through performance evaluations, career discussions and volunteer opportunities that will provide visibility and opportunity for growth and advancement. Formalize a succession planning program for identified key jobs and high potentials. Communicate divisional and individual achievements and progress/results through directors' meetings, divisional communication tools and News & Events. Conduct post exit interviews to determine actual reasons for leaving (analyze and follow-up on results). Evaluate compensation strategies to ensure equity. Collect external availability statistics on a local and national level to measure Finance and Administration's progress toward diversity initiatives. Gather existing internal statistical data by job group to measure promotional and transfer activity. Define diversity expectations and measure actual performance toward diversity initiatives (placement/good faith effort).